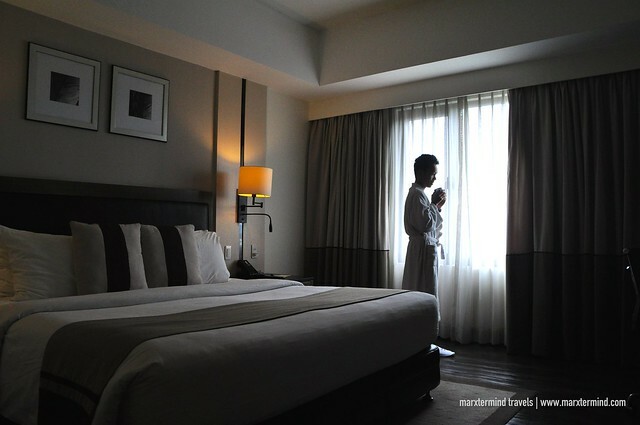 A comfy room with top class facilities; this was the perfect hotel to spend my weekend in Davao. It was my fourth time to visit Davao City but it was my first time to visit alone. I decided to go on staycation instead since I didn’t plan to get around the city. 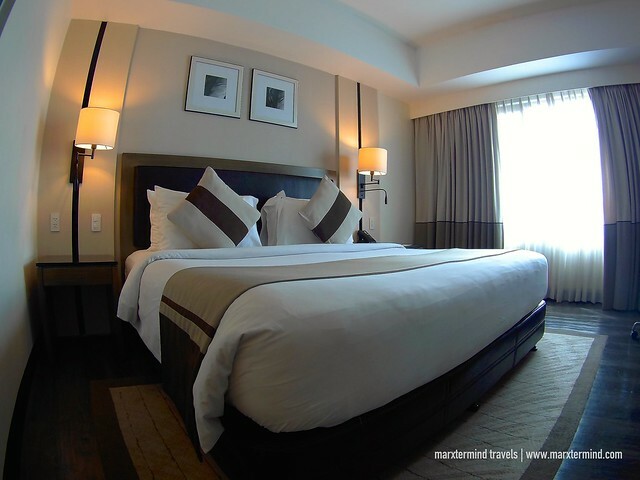 A smart and stylish hotel that is conveniently located in the shopping and restaurant area of Davao city, I picked to stay in Seda Abreeza Davao. 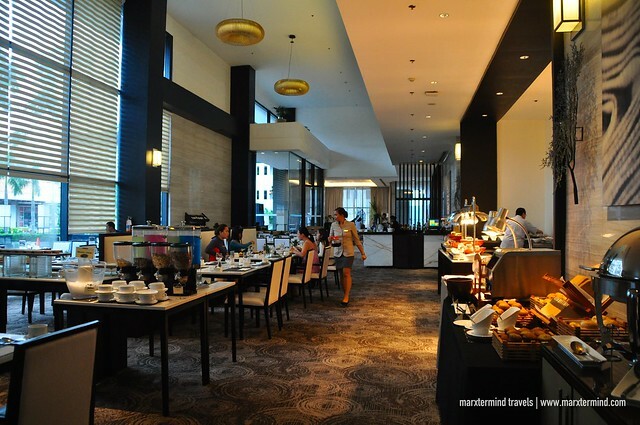 Seda Abreeza Davao caters to both business and leisure travellers. It is an urban lifestyle hotel that offers modern accommodation rooms. The hotel provides comfort and convenience through its amenities and services. 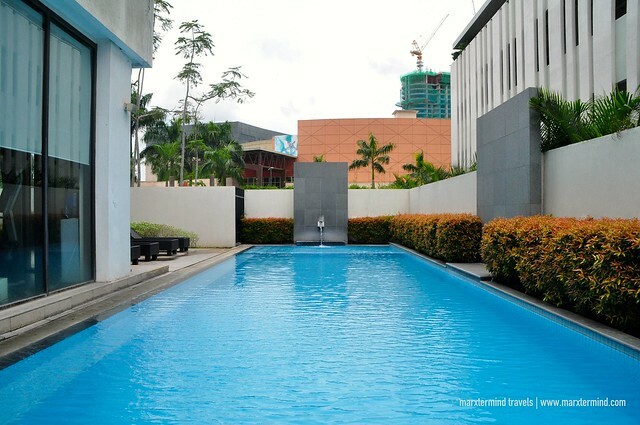 It has an array of wonderful facilities to offer guest a more pleasant stay in Davao City. Located just across Abreeza Mall, it has a great location because of its accessibility to shopping malls, restaurants and tourist attractions. Reaching the hotel was easy. From airport, it took me about half an hour. But if I take a private car or taxi, it’ll just be an easy 20-minute drive. I arrived at Seda Abreeza around 8:00 AM. It was way too early for check in time. Because I haven’t had a proper sleep yet, I asked the front desk if I could check in ahead. Luckily I was able to. I was glad that they allowed me to check in to my room. Although I just had to wait for an hour or less for my room to be ready. But that was absolutely okay. 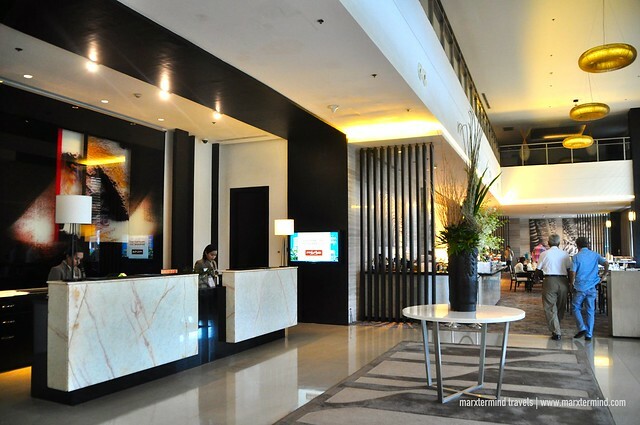 Seda Abreeza Davao features 186 guestrooms that are well-fitted and carefully appointed for comfort and convenience. Each room has stylish interiors and equipped with modern facilities to suit today’s lifestyle. Rooms are categorized into three such as Deluxe Room, Club Room and Premier Room. Please refer to this link to check the room rate and availability. My room was a Deluxe Room. The room was air-conditioned and it has a private bathroom. The room was spacious and comes with a king bed. The bathroom was clean and provided with complete bathroom amenities. A hair dryer is also available. I like the interior with earth tones giving warmth and relaxing ambiance. It was comfortable, which gave me more reason to stay inside. The entire room was clean and tidy, as well. It has all the magnificent room amenities that made me even more enjoy my stay. The Deluxe Room was equipped with up to date amenities such as 40-inch LED HDTV with cable channels, media panel with HDMI, USB and audio-visual connectivity, IDD phone with iPod dock, coffee and tea making facilities, mini-bar and in-room safe. I went to my bed around 10:00 AM and called it a night or whatever time of the day it was. I slept the entire day and I woke up when it was already nearing nighttime. It was a staycation so sleeping is actually my main activity. 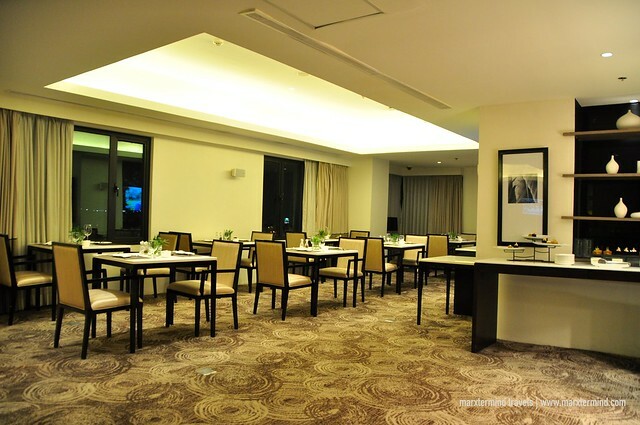 Seda Abreeza Davao also has array of facilities to provide guests a most pleasurable experience. 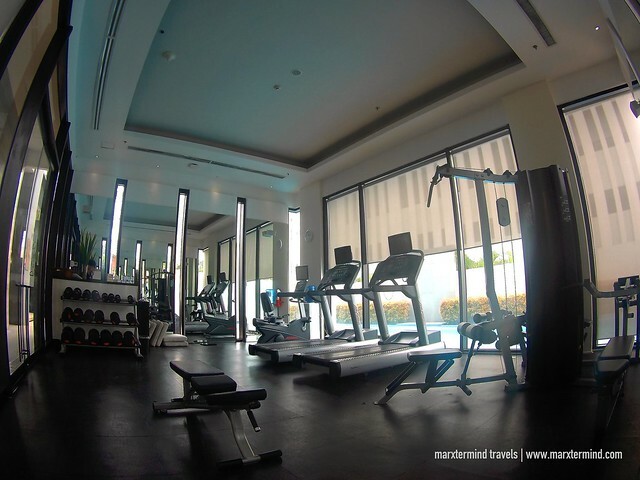 Among these facilities are dining, fitness center, outdoor pool and e-lounge. They have a lovely pool that too bad I didn’t able to experience. The e-lounge, which is located in the lobby area is equipped with iMac stations. Misto Restaurant is their in-house restaurant. This dining place offers all-day à la Carte dining, which serves a range of international classics and favorites. Hotel breakfast is also being served at Misto. It comes in buffet that has excellent choices of some local dishes and breakfast favorites. There were breads, pastries, sweets and fruits. The buffet spread also has sections for salad, egg, soup and assorted native delicacies. 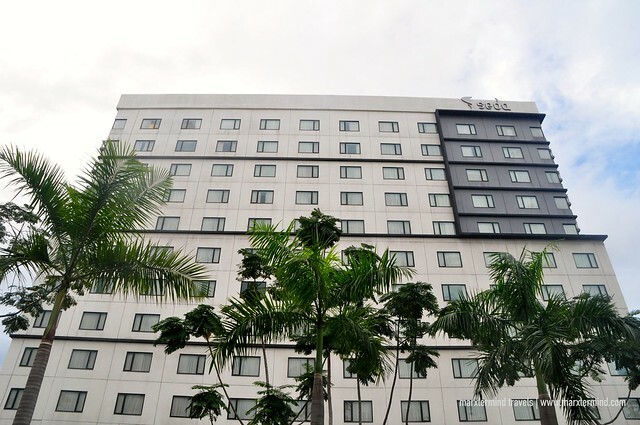 Apart from the magnificent dining and hotel facilities, Seda Abreeza Davao also offers services such as luggage storage, laundry, in-room dining, in-room massage, and car rental services. They also have 24-hour reception and security. The hotel also provides fast and reliable Internet connection for free. The hotel also has an exclusive club lounge, which I was gratefully able to experience during my stay. 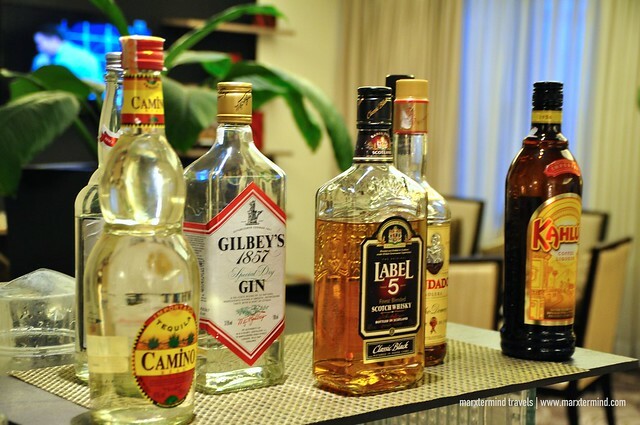 Seda Abreeza’s Club Lounge is located at the 11th floor. It provides exclusive access to some enjoyable benefits and premium service. The lounge is open from morning till late evening serving daily breakfast, afternoon tea and evening cocktails. I was glad to have an access to experience the evening cocktails on my second night. A variety of beverages, cocktails, beer and sodas were served during that time. Although it would be nicer to have some cocktails or beers, I settled having a couple of glasses of juice. 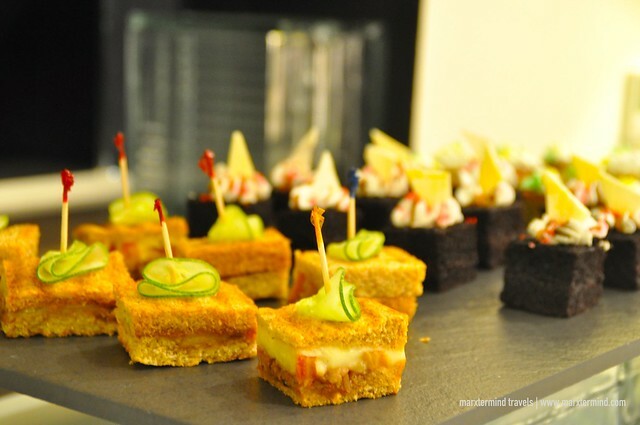 The lounge also has some snacks, cakes and desserts. It’s all for free for guests who have access to the lounge. Guests can grab as much as they like as long as it is consumed inside the lounge. I loved the cakes, which I enjoyed together with my cucumber juice. The over-all interior and ambiance of the lounge was also nice. There’s an iMac station and worktables to use. Some reading materials were also available. 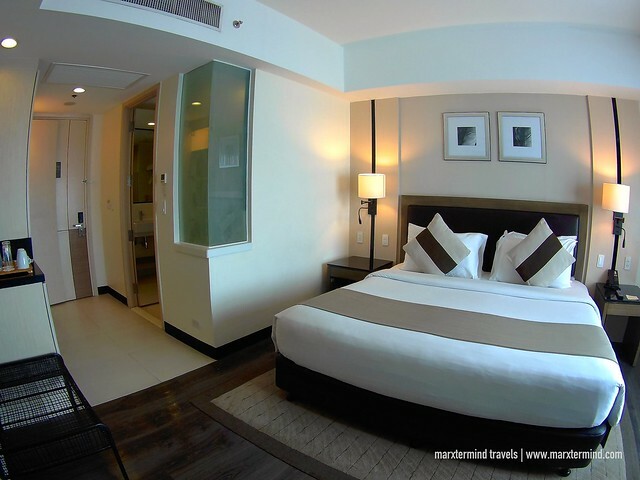 Overall, Seda Abreeza is an excellent hotel to stay in Davao City. The location is good. 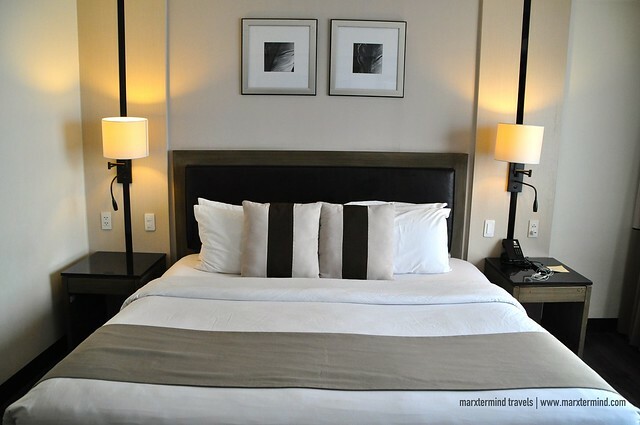 I had a clean and comfortable room that has great in-room amenities. Staff were helpful and friendly. I had a pleasant time staying at the hotel. I enjoyed my staycation and I was even able to complete some work. Indeed, Seda Abreeza was a perfect choice to spend that one weekend in Davao.